Picture a sun-drenched, white-washed house with a shady courtyard, perched on a cliff-top site in Spain. With the deep blue sea beyond and an olive grove nearby, it’s the stuff of which fantasies are made. Beaches…mountains…fabulous cities…colourful festivals and, of course, sunshine almost everyplace. It’s not surprising that more and more Australians are starting to see the allure of Spain for laidback yet cultured European life. Western Europe’s second-largest country (just slightly smaller than France), Spain offers fantastic variety in terrain, culture and lifestyle. 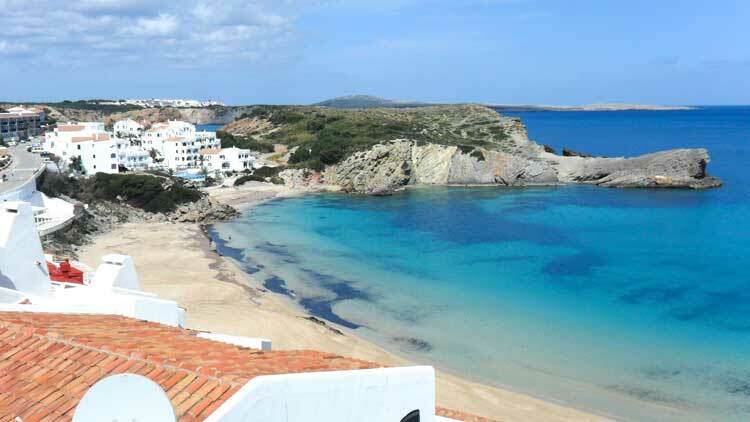 To start with, Spain has almost 5,000 kilometres of coastline, and much of it is beach. In Northwest Spain, the hills are green, the climate is humid and mild and the coast is the chilly but dramatic Bay of Biscay. Spain’s eastern coast and part of the south border the warm waters of the Mediterranean, while the far-western reaches down south look out on the Atlantic. All the coastal areas have relatively temperate climates…cooler in the north, hotter in the south, but generally with only about four degrees Celsius between average highs and average lows year-round. Looking for culture? Spain has a rich, millennial history. The Phoenicians, Greeks, Romans and Arabs all settled here and left ample remains, language and customs. Walk in the steps of sultans at Granada’s Alhambra, take the pilgrimage route to Santiago de Compostela or gaze on Segovia’s mighty Roman aqueduct, over 2,000 years old… You’ll find plenty of cities in Spain, large and small, which merit exploration. And, thanks to rapid public transportation, it’s easy to get around Spain. High-speed and suburban train lines connect many cities and bus routes crisscross the country. You can get from Madrid to destinations on the southern coast in three to four hours, to Valencia in two and up to Barcelona in about three. In addition to the large airports in Madrid and Barcelona, smaller airports around the country—served by discount airlines as well as the major carriers—connect Spain with the rest of Europe. This is First-World Europe, after all. You’ll find modern services, efficient transport and excellent medical care. You’ll also find a lively, outgoing lifestyle and some of the best food and wine around. In Spain, life is meant to be enjoyed…hanging out is an art. And, even better, it all comes at an affordable price: Spain has one of the lowest costs of living in Europe. So if you’ve ever dreamed of a romantic, affordable European lifestyle, take a look at Spain. When you think of Spain, Barcelona’s glittering Gaudi architecture and sunshine-filled beaches may first come to mind, but the country has another secret cultural haven: Madrid.